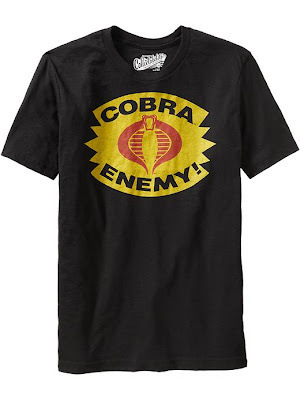 I saw this shirt yesterday at Old Navy and decided I have to go back today to get it. As I had to explain to my lovely girlfriend, the icon is from the cardboard backer of the G.I. 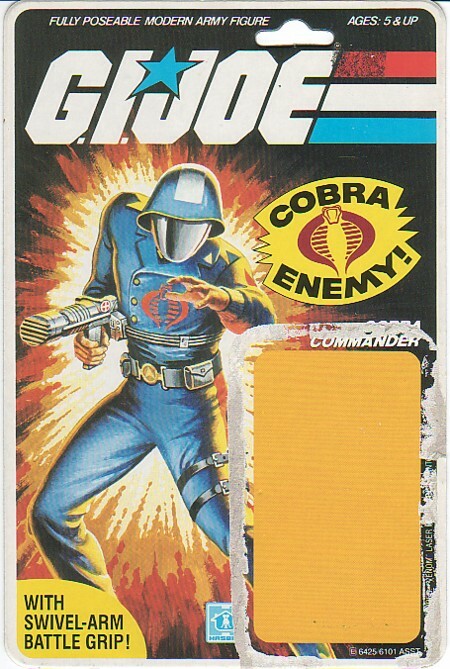 Joe Cobra figures from when I was a kid. The t shirt is listed as “slightly fitted,” but it’s available in sizes all the way up to 3XL. 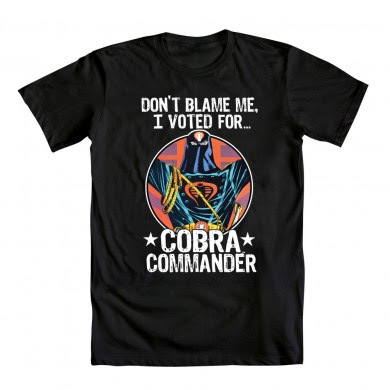 It will never top this Cobra Commander t shirt from Death Shred (sold out in guys sizes), but it will do. Yes we shall.